Can Certain Foods Strengthen Your Heart and Lungs? How Much Omega-3 in Pecans? What Are Some Precautions for High Blood Pressure? What Food Can You Eat After Stroke? Nutrition is important for both heart and blood vessel health, and can impact both stroke recovery and health after a person has a stroke. While some stroke survivors may have to follow strict dietary guidelines, others are able to eat what they choose. However, choosing healthier foods may help them prevent recurrent strokes. People who have had a stroke may be at risk for a second stroke, especially if they have not made certain lifestyle changes. In addition to getting enough exercise, maintaining a healthy weight, and avoiding tobacco and alcohol, the Cleveland Clinic recommends a healthier diet to reduce the risk of conditions that can lead to stroke. Someone who has had a stroke should avoid certain foods when possible to reduce their risk of having another. These include foods high in salt, sugar, cholesterol and saturated fats. To maintain circulatory and heart health after a stroke, certain foods are better than others. 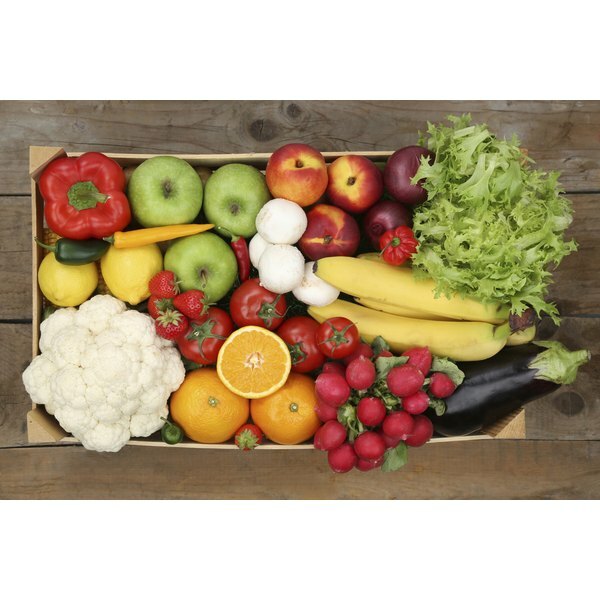 The Cleveland Clinic recommends whole grains, fruits and vegetables. Fruits and vegetables have many benefits for a person who has had a stroke. Not only are they high in fiber, but they also are packed with nutrients that are important for heart health. Five servings daily is the recommended minimum, and the National Stroke Association reports that citrus fruits and broccoli are among the most important stroke-preventing fruits and vegetables. Whole grains are also high on the list due to their fiber content and fortification with vitamins and minerals. While nutrition as a whole is important, a few key nutrients are beneficial for prevention of recurrent strokes. These include folic acid, calcium, vitamins B6 and B12, and potassium. Increasing the amount of fruits, vegetables and fortified foods in the post-stroke diet can help. However, the National Stroke Association reports that many people do not get enough folic acid or B vitamins from their diet alone. Increasing certain foods such as lentils, fortified cereals, fish and bananas can help; however, some people may also benefit from taking extra supplements. The Mediterranean diet has long been considered a heart-healthy eating plan, and can also benefit a person who has had a stroke. The journal "Stroke" reports that in some cases, a Mediterranean diet can reduce a person’s stroke risk by as much as 60 percent. This diet tends to include healthy oils, such as olive oil and fish, and fewer foods that are high in cholesterol and saturated animal fats. Richly colored fruits and vegetables are high on the list, such as carrots, grapes and blueberries. Other important parts of the Mediterranean diet are fish, balsamic vinegar and canola oil. Sometimes after a stroke, the survivor requires a different food consistency. Many people have more difficulty chewing or swallowing after having a stroke. They may require thicker liquids, softer food and ground up meats. In addition, the Cleveland Clinic reports that some people, even those who can swallow, may benefit from diet consistency changes simply to improve their appetite. They suggest moist foods, as well as adequate liquids. In some cases, eating smaller snacks throughout the day may be easier for a person after a stroke. Are There Foods That Build Heart Muscle? Does Eating Almonds Affect Hypertension? What Are the Health Benefits of Soy Nuts? What Are the Benefits of Citrus Fruits?